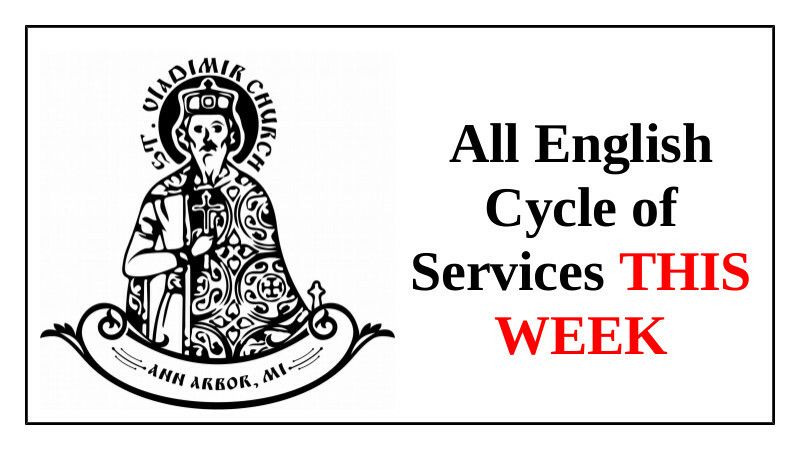 The All English Cycle of Divine Services for this month is set for October 5-6. Please spread the word! This is one of our most important missionary efforts. The Divine Services are the theology in action of the Holy Church – and crucially important in bringing our friends, loved ones, neighbors, colleagues, and all in our American land to the faith! So invite friends. Now. Do it. :) Send an email with one of the links below! Please contact me or any Parish Council member with questions. Crop Walk 2018 Organizational Meeting this Saturday! 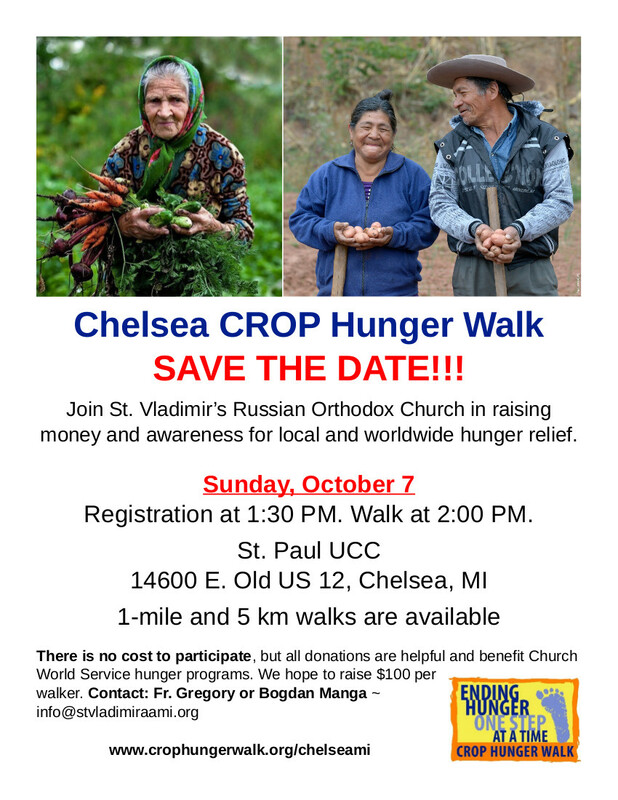 Please join us for the Chelsea/Dexter Crop Hunger Walk! There is no cost to participate, but all who participate are asked to try to raise at least $100. One-fourth of the funds raised stays in our community to support local hunger and poverty fighting programs. 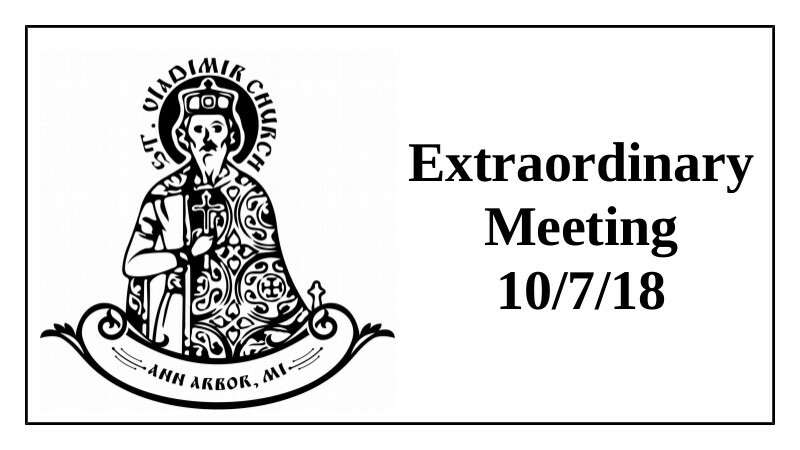 We will hold an organizational meeting for walkers on Sunday, September 30 following the Divine Liturgy (during the parish meal). Please plan to join us for that and please plan to participate in this worthy endeavor! 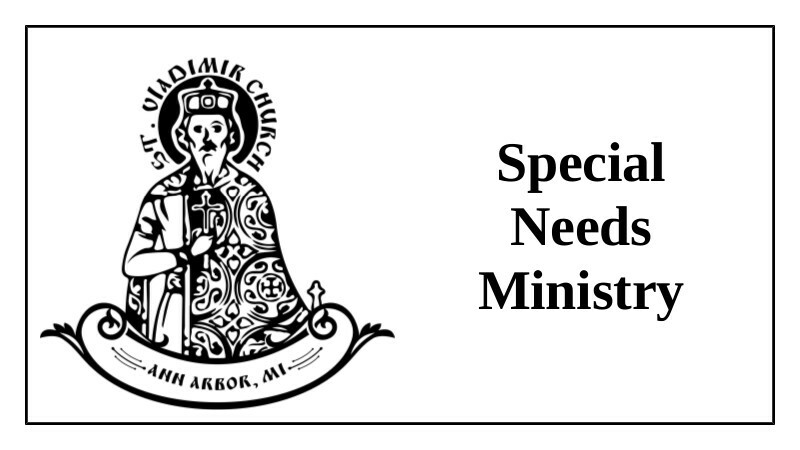 Special Needs Ministry – We Need You! Inspired by the incredible work of Fr. Vladimir Klimzo in Russia, and with the understanding that here in American the vast majority (perhaps up to 80% according to some studies) of families with special needs children or adult children do not attend church – ALTHOUGH THEY WOULD LIKE TO – we intend to establish a Special Needs Ministry at St. Vladimir’s. We need one or two more people in addition to our present team to move this important ministry forward. If you can help please contact Fr. Gregory or email info@stvladimiraami.org. 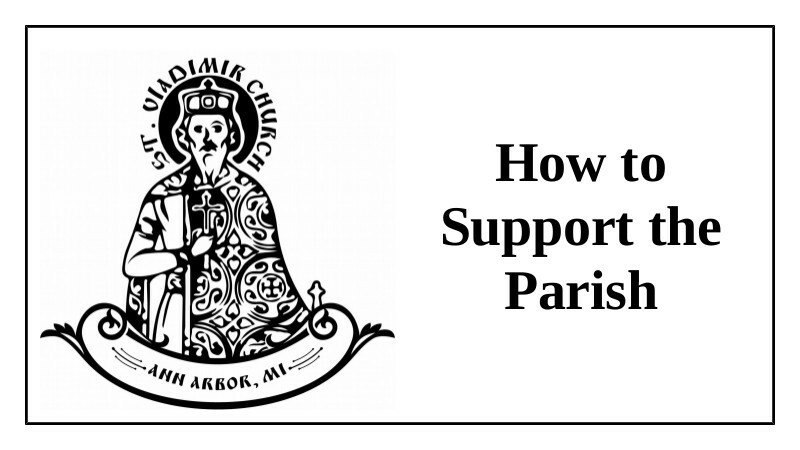 Join us in providing a spiritual home for those seeking one, but struggling to connect with a parish family! Join us this Sunday - monthly Fund Raising Dinner! All English Schedule Change - NOW October 6! The all English cycle of Divine Services in October has been changed to October 5-6. Please make a note of this and spread the word! 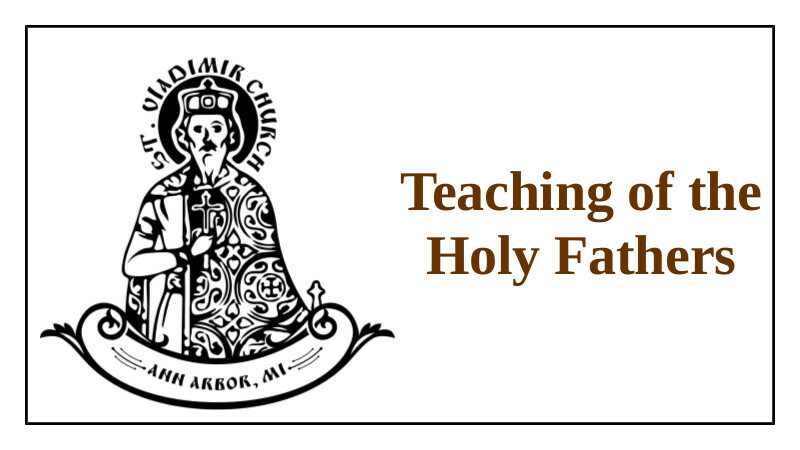 The Divine Service we attend most often is the Divine Liturgy. We know it, but do we know it? The better we understand the Divine Liturgy the more we will engage in this "work of the people", and the more we will get from it. Or perhaps better put, the more it will transform us. 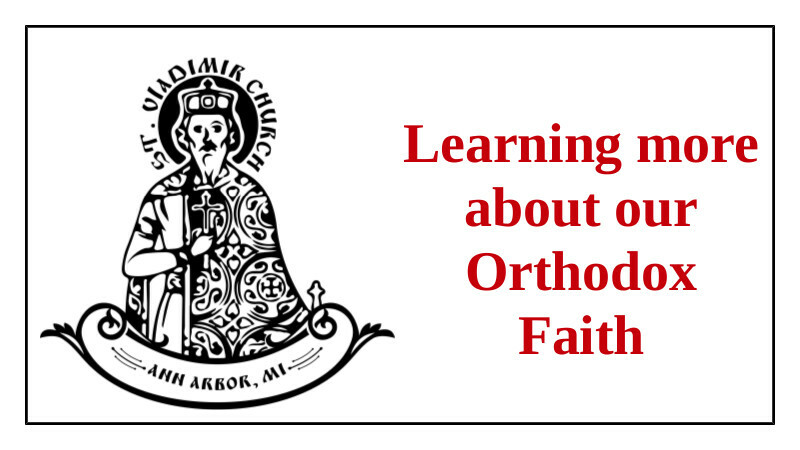 And since we are seeking to be transformed into the children of God, should we not take the time to delve more deeply into the Divine Liturgy - the most theologically significant Divine Service? That is a purely rhetorical question of course, since the answer must be "yes"! The article below is a classic of the 20th century, written by one of the most influential theologians of that time. That time was not that long ago - and this article is well, well worth the read!